The worksheet consists of a teacher tip about the form and use of the auxiliary verb "used to" and 4 exercises to practice this modal verb. 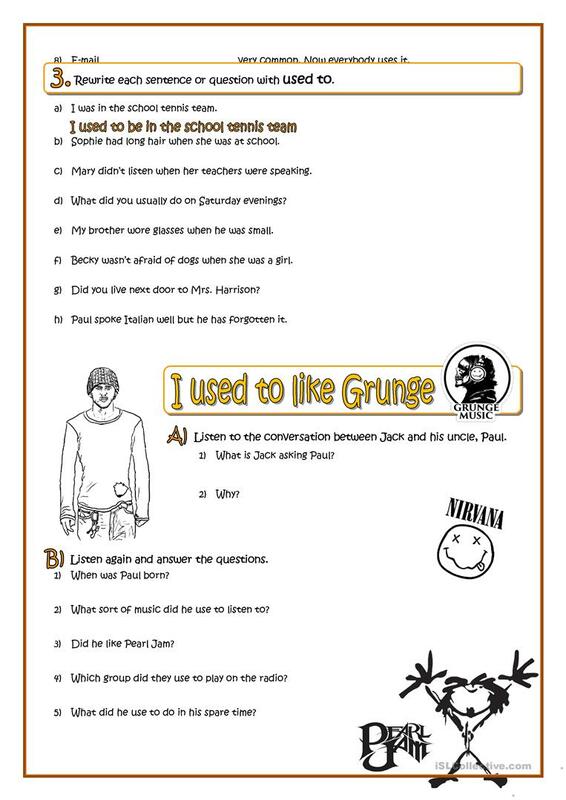 The last exercise is a conversation to introduce a speaking task about past habits and what the students used to like when they were younger. Script, key and audio file link provided. 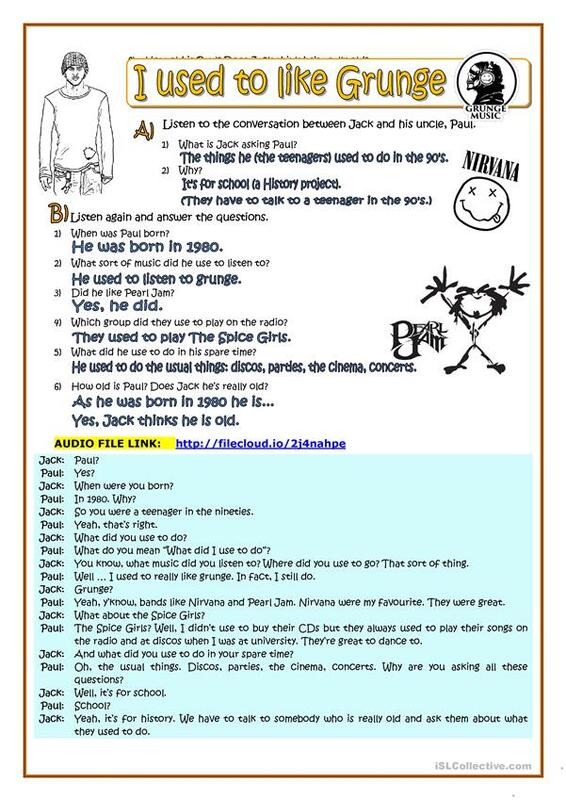 This downloadable teaching material is meant for high school students and adults at Pre-intermediate (A2) level. 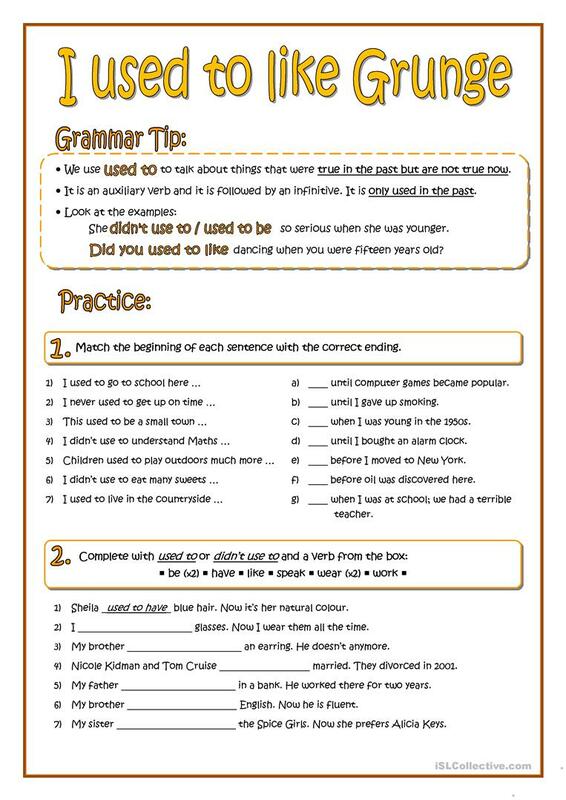 It is valuable for revising Past tense: USED TO in English, and can be used for developing your learners' Listening and Speaking skills. It centers around the topic and words of Hobbies. The exercises come with the solutions.